The top secret affair that is Le Dîner en Blanc is back in Melbourne for its fourth year of fun, frivolity and fetching festivities. Launched in Paris almost 30 years ago, this always-alfresco, dreamlike party gives guests the opportunity to show off their all-white wardrobe and join in on a pop-up picnic brimming with elegance, beauty and a certain sense of French mystère. 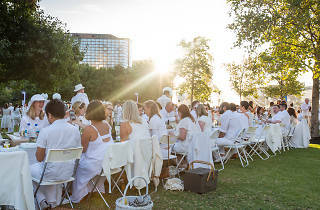 Taking place on Saturday February 24, guests will rally at points across the city and be guided by Dîner en Blanc volunteers to an undisclosed setting – and if past locations are anything to go by, expect one of the city’s most beautiful public spaces. The soirée will begin after the traditional waving of the cloth napkin, with bubbly, sparklers and a fabulous feast following suit. Remember to BYO chairs and table, as well as your own picnic basket with fine food and even finer dinnerware. 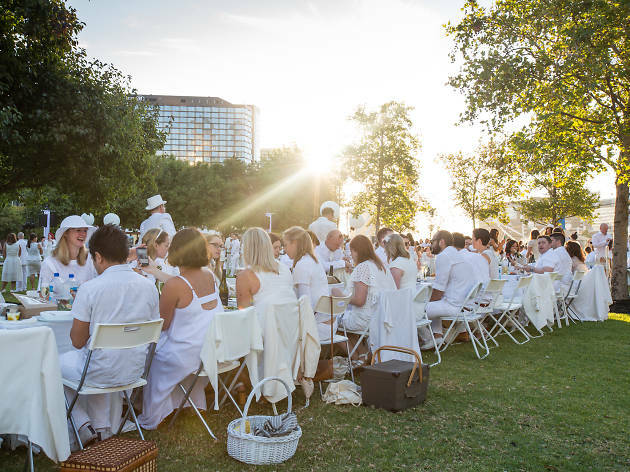 If you’d like Dîner en Blanc to wine and dine you instead, a catered picnic basket option can be reserved in advance on their website. Champagne and wine must be reserved through Dîner en Blanc’s e-store as well. The location will be revealed on February 28. Be sure to register your interest on Dîner en Blanc’s website to take part in this one of a kind culinary experience.